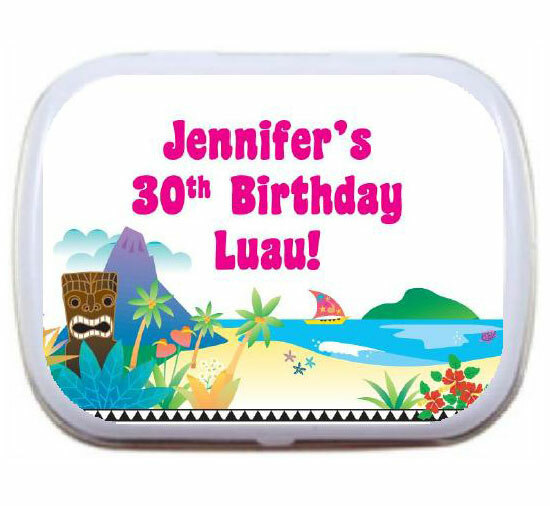 Party411.com offers luau themed mint and candy tins for your Hawaiian theme party. A great flip flop luau party favor. A sweet luau party favor.